WAPATO, Wash. – Here in the shadow of Mount Adams is Red Willow Vineyard, home to some of Washington’s most important, historic and oldest grapes. 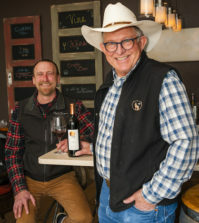 Mike Sauer has been growing wine grapes here on the western edge of the Yakima Valley for more than 40 years, and he remains a pioneer today, planting new varieties and improving his vineyard each year. Sauer planted Concord grapes and a few wine grapes in 1971, but the vineyard began in earnest in 1973. It is a fourth-generation farming operation that began in the 1920s. 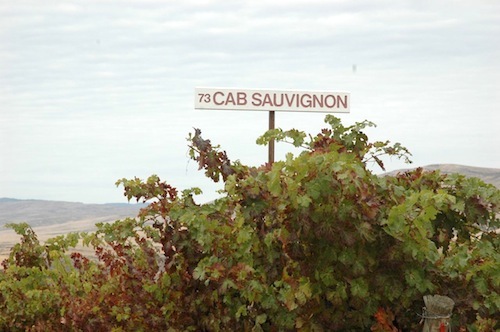 “Almost all of it was undeveloped where the vineyards ended up going,” Sauer said. 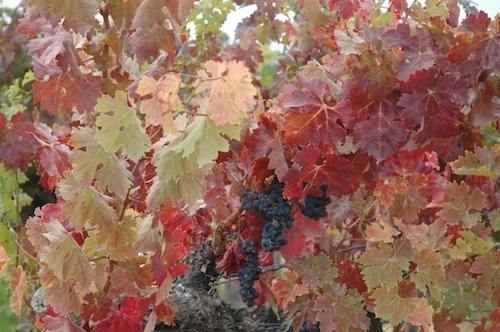 His early plantings were Cabernet Sauvignon, some of which will be torn out after this harvest because of issues with leaf roll virus. Sauer has determined that Syrah grows better in poorer soil, and Cabernet Sauvignon grows better in stronger soil, so he will take out 3 acres of old Cab and replant with Syrah. Today, Sauer farms 140 acres of wine grapes, and the vineyard is pretty well planted out. Part of the vineyard is called Les Vignes de Marcoux, which is distinctly different than the steep slopes of what has traditionally been Red Willow. 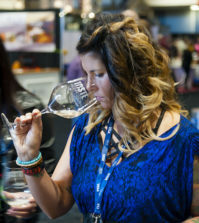 Red Willow Vineyard’s fame is often tied to David Lake, the longtime winemaker for Associated Vintners and Columbia Winery. 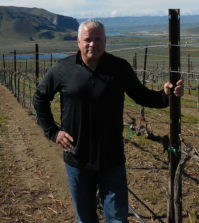 Lake, who was British, earned his Master of Wine in 1975 then learned winemaking at the University of California-Davis before moving to the Pacific Northwest to work for Associated Vintners. Sauer recalls meeting Lake in 1978. They were at a grape growers meeting, and Sauer needed a ride. It turned out to be a beautiful relationship. Soon after Lake’s arrival, AV changed its name to Columbia Winery. Lake was so enamored with Red Willow Vineyard, he began honoring it with vineyard-designated wines. It didn’t take long for wine lovers to see Columbia Winery and Red Willow Vineyard as synonymous. 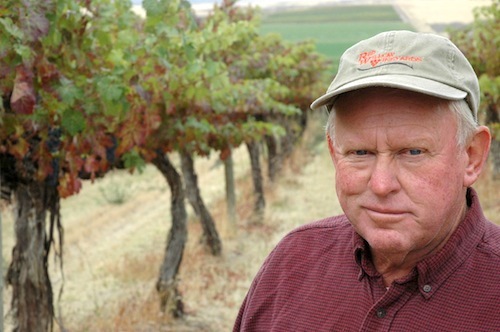 In 1984, Lake was interested in planting Syrah in Washington, so he and Sauer worked together. Lake got vines from California in late 1984, and Sauer planted them in his nursery in 1985 then in the vineyard in 1986. It was 3 acres. Syrah is known as a winter-tender variety, and nobody was sure the red Rhône variety could withstand Washington’s sometimes-harsh winters. The first Syrah made in Washington came from Columbia Winery in the 1988 vintage. When the 1996 winter freeze wiped out nearly half of Washington’s wine grape crop, Sauer’s Syrah did just fine. After that, seemingly everyone in Washington wanted to plant Syrah. Today, it’s the state’s No. 3 red grape after Cab and Merlot. That wasn’t the only pioneering moment for Red Willow. 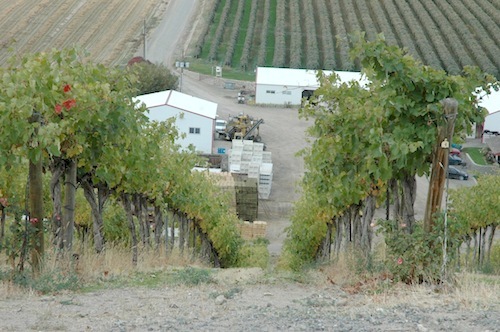 Sauer and Lake were among the first in Washington to put in Viognier, Tempranillo, Sangiovese, Nebbiolo and Cabernet Franc. In 1992, Sauer began to build a chapel at the top of a steep hill, using stones from the farm. Lake, who was a lover of wine history, encouraged it. “He was steeped in tradition,” Sauer said. The chapel, which was finished in 1995, was modeled after Jaboulet’s La Chapelle overlooking the Rhône River in Hermitage. For Sauer, it has a much deeper, more personal meaning. 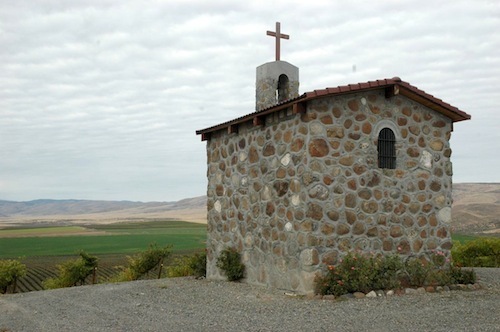 The chapel also has become one of the most endearing images of the Yakima Valley and even the entire state. It is easily the most recognizable building in the Washington wine industry, an irony considering most people have never seen it in person. “I never envisioned the focus that it would become,” Sauer said. For many years, Sauer sold nearly all of his grapes to Columbia Winery. But the winery changed ownership through the years, and Lake retired, then died in 2009. Today, Sauer sells no grapes to Columbia. Instead, he supplies fruit – and knowledge – to nearly 20 different producers. The grapes from those original Syrah vines go to Betz Family Winery and Efeste in Woodinville and Andrew Rich Wines in Carlton, Ore. He noted that the industry has changed much in the past 40 years. In the early days, big wineries would send their viticulturists out to the vineyards and direct the growers on what they wanted. With so many small, high-end producers in Washington now, many of the longtime growers have a larger influence on the direction of the wine. “The role of the vineyard has become bigger with these tiny wineries,” he said. Sauer continues to push forward with planting different grapes. In fact, he isn’t certain how many varieties he has planted. He recently planted Marquette, a hybrid grape developed by the University of Minnesota that includes Pinot Noir in its parentage. He has enough for one row – about 120 vines. He likes the name – and like any good farmer, he’s hedging his bets. “We just got finished with the 2010 and ’11 vintages, and it didn’t look like global warming was working out,” he said. So he planted the cool-climate variety that is built to withstand winter temperatures of minus-30 degrees. At 66, Sauer isn’t slowing down. But he does have a succession plan in place. 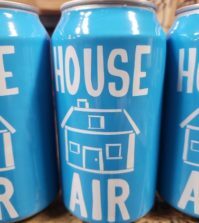 His sons, Jonathan and Daniel, and son-in-law Rick Willsey are full time at the vineyard and ultimately will end up owning it when Sauer decides to harvest his last cluster of grapes. Until then, he will just keep pushing forward.